Moosavi Tabatabaei, S., Sadjadi, S., Makui, A. (2017). Optimal production and marketing planning with geometric programming approach. Journal of Industrial and Systems Engineering, 10(special issue on production and inventory), 18-29. Seyed Reza Moosavi Tabatabaei; Seyed Jafar Sadjadi; Ahmad Makui. "Optimal production and marketing planning with geometric programming approach". Journal of Industrial and Systems Engineering, 10, special issue on production and inventory, 2017, 18-29. Moosavi Tabatabaei, S., Sadjadi, S., Makui, A. (2017). 'Optimal production and marketing planning with geometric programming approach', Journal of Industrial and Systems Engineering, 10(special issue on production and inventory), pp. 18-29. Moosavi Tabatabaei, S., Sadjadi, S., Makui, A. Optimal production and marketing planning with geometric programming approach. Journal of Industrial and Systems Engineering, 2017; 10(special issue on production and inventory): 18-29. One of the primary assumptions in most optimal pricing methods is that the production cost is a non-increasing function of lot-size. This assumption does not hold for many real-world applications since the cost of unit production may have non-increasing trend up to a certain level and then it starts to increase for many reasons such as an increase in wages, depreciation, etc. Moreover, the production cost will eventually have a declining trend. This trend curve can be demonstrated in terms of cubic function and the resulted optimal pricing model can be modeled in Geometric Programming (GP). In this paper, we present a new optimal pricing model where the cost of production has different trends depending on the production size. The resulted problem is formulated as a parametric GP with five degrees of difficulty and it is solved using the recent advances of optimization techniques. The paper is supported with various numerical examples and the results are analyzed under different scenarios. Abuo-El-Ata, M.O., Fergany, H.A. and El-Wakeel, M.F., 2003. Probabilistic multi-item inventory model with varying order cost under two restrictions: a geometric programming approach. International Journal of Production Economics, 83(3), pp.223-231. Chen, C.K., 2000. Optimal determination of quality level, selling quantity and purchasing price for intermediate firms. Production Planning & Control, 11(7), pp.706-712. Cheng, T.C.E., 1989. An economic order quantity model with demand-dependent unit cost. European Journal of Operational Research, 40(2), pp.252-256. Duffin, R.J., Peterson, E.L. and Zener, C.M., 1967. Geometric programming: theory and application. Fathian, M., Sadjadi, S.J. and Sajadi, S., 2009. Optimal pricing model for electronic products. Computers & Industrial Engineering, 56(1), pp.255-259. Ghosh, P. and Roy, T.K., 2013. A goal geometric programming problem (G 2 P 2) with logarithmic deviational variables and its applications on two industrial problems. 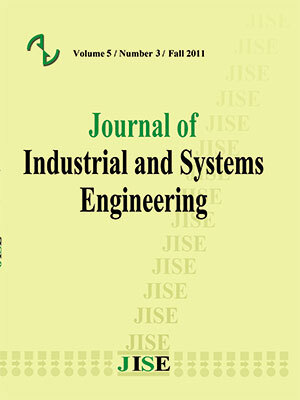 Journal of Industrial Engineering International, 9(1), pp.1-9. Grant, M.C. and Boyd, S.P., 2011. CVX Research, Inc. CVX: Matlab software for disciplined convex programming, cvxr. com/cvx. Jung, H. and Klein, C.M., 2005. Optimal inventory policies for an economic order quantity model with decreasing cost functions. European Journal of Operational Research, 165(1), pp.108-126. Kim, D. and Lee, W.J., 1998. Optimal joint pricing and lot sizing with fixed and variable capacity. European Journal of Operational Research, 109(1), pp.212-227. Kochenberger, G.A., 1971. Inventory models: Optimization by geometric programming. Decision sciences, 2(2), pp.193-205. Lee, W.J., 1993. Determining order quantity and selling price by geometric programming: optimal solution, bounds, and sensitivity. Decision Sciences,24(1), pp.76-87. Lee, W.J. and Kim, D., 1993. Optimal and heuristic decision strategies for integrated production and marketing planning. Decision Sciences, 24(6), pp.1203-1214. Lilien, G.L., Kotler, P. and Moorthy, K.S., 1992. Marketing modelsPrentice-Hall. Englewood Cliffs, NJ. Liu, S.T., 2007. Profit maximization with quantity discount: An application of geometric programming. Applied mathematics and computation, 190(2), pp.1723-1729. Mandal, N.K., Roy, T.K. and Maiti, M., 2005. Multi-objective fuzzy inventory model with three constraints: a geometric programming approach. Fuzzy Sets and Systems, 150(1), pp.87-106. Parlar, M. and Weng, Z.K., 2006. Coordinating pricing and production decisions in the presence of price competition. European journal of operational research, 170(1), pp.211-227. Sadjadi, S.J., Aryanezhad, M.B. and Jabbarzadeh, A., 2010. Optimal marketing and production planning with reliability consideration. African Journal of Business Management, 4(17), p.3632. Sadjadi, S.J., Oroujee, M. and Aryanezhad, M.B., 2005. Optimal production and marketing planning. Computational Optimization and Applications, 30(2), pp.195-203.